Miller Light produced a promotional advertisement for Lamar transit. 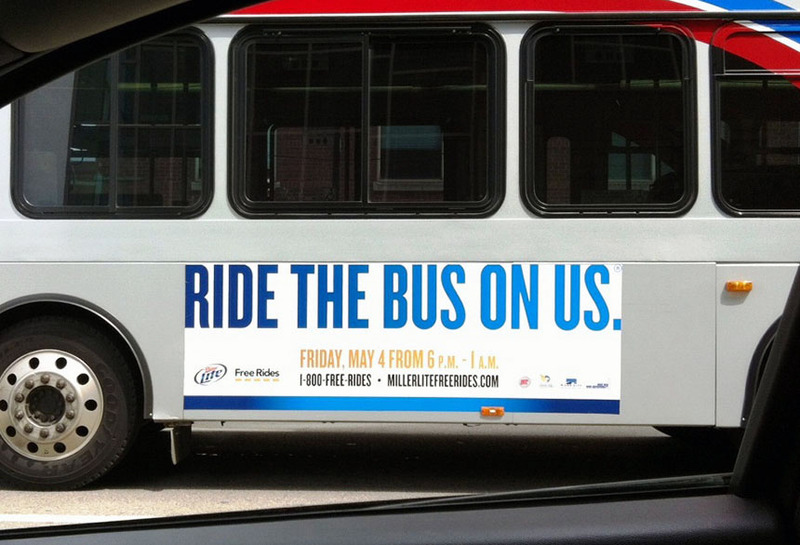 Miller light informed commuters that on May 4th from 6pm-1am, everyone could ride the bus free. This campaign creates positive feelings towards Miller Light as well as keeps the brand in consumers’ minds.